Butler has been called “the pride of New Orleans” (Dr. John), “a piano genius” (All Music Guide) and “the greatest living proponent of the classic New Orleans piano tradition, playing an amalgam of boogie-woogie, jazz, blues and classical in the lineage of Professor Longhair, James Booker, Tuts Washington, Allen Toussaint and countless other emperors of the ivories” (CMJ New Music Report). Fortunately for music fans, he’s been in the habit of recording his performances for decades. And while Butler lost his home and many of his possessions in the floods resulting from New Orleans’ levee failures in Hurricane Katrina, his archive of tapes survived intact. From this remarkable collection of performances, Butler and pianist George Winston handpicked the 11 songs that comprise PiaNOLA Live. The collection kicks off with Henry’s version of the old New Orleans standard “Basin St. Blues” then launches into a mid-1980’s rendition of Butler’s signatory composition, “Orleans Inspiration,” that’s so sizzling you can almost feel the summer heat rise off the pavement. 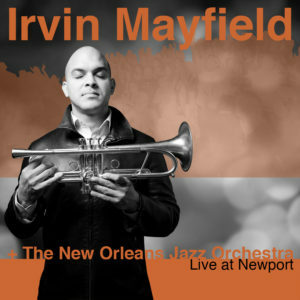 While he interprets classic compositions of the masters that came before him, Butler imbues them with his own trademarks techniques – the funky bass lines, the interplay of his right and left hands answering each other, as on Allen Toussaint’s “Mother-in-Law,” or acting as one, thus giving added power and percussion to the phrases of Professor Longhair’s tribute to the beloved Crescent City night club, “Tipitina.” Is Butler embedding political statements when, in Katrina’s wake, he includes the Jerome Kern classic “Old Man River?” Or when, having suffered through unsatisfying dealings with FEMA and other bureaucracies, he chooses Billy Preston’s “Will It Go Round in Circles?” Or are these just great vehicles for his musical gifts? Butler leaves that for the listener to decide. Blinded by glaucoma since birth, Butler studied piano, vocals and numerous instruments at the Louisiana State School for the Blind in Baton Rouge. He went on to study with keyboard players George Duke, Cannonball Adderley’s Quintet, Sir Roland Hanna and Harold Mabern – and even landed a long afternoon session with Professor Longhair. His early albums were jazz trio recordings (Fivin’ Around with Charlie Haden and Billy Higgins in 1986 and The Village with Ron Carter and Jack DeJohnette in 1988). 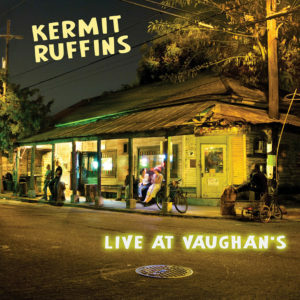 Butler’s subsequent works – apart from his 1996 jazz album For All Seasons – have drawn heavily on New Orleans music and the blues. 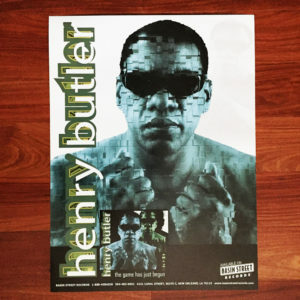 His debut album for Basin Street Records, The Game Has Just Begun (2002), was a power-packed, all-electric blues-rock album and Butler took things even deeper with 2004’s Homeland. 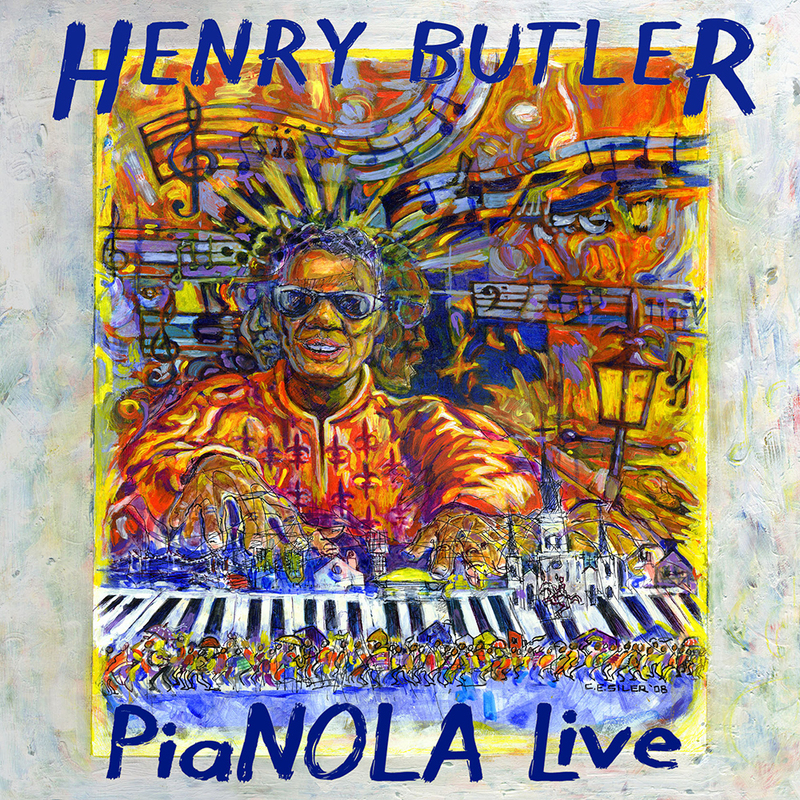 Now, with PiaNOLA Live, Butler delivers a love letter to his birthplace, a work reflecting the inspiration he has long drawn from New Orleans and demonstrating how he, in turn, has given back that energy, leaving an indelible mark on the city’s musical legacy. 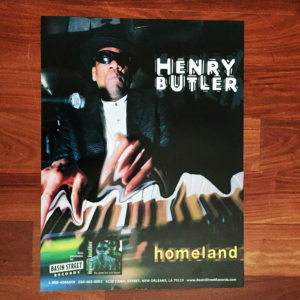 My favorite Henry Butler album and my favorite jazz/Orleans-style record EVER! You can’t get better then Henry and the proof is right here.